Hi friends! 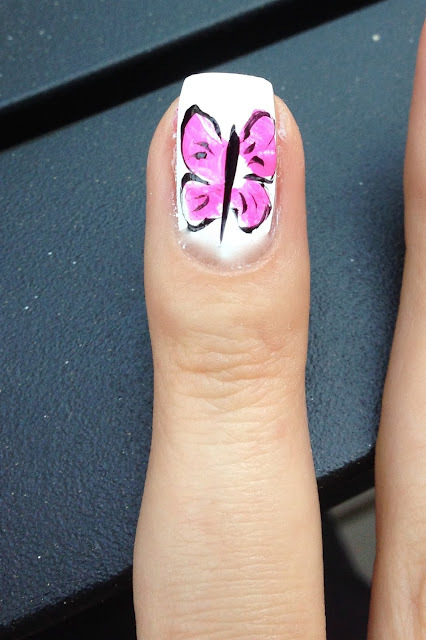 Today I'm going to show you how I paint a butterfly. I think it's a fun and nice summer design. 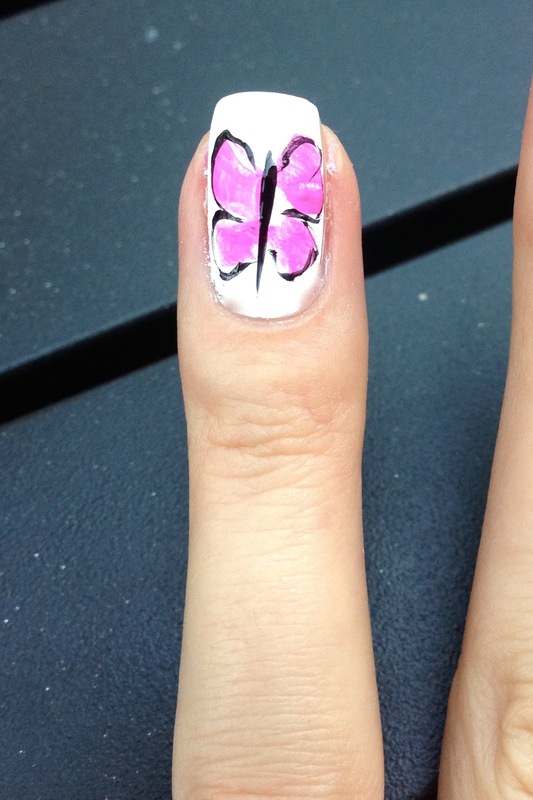 Start with base coat. 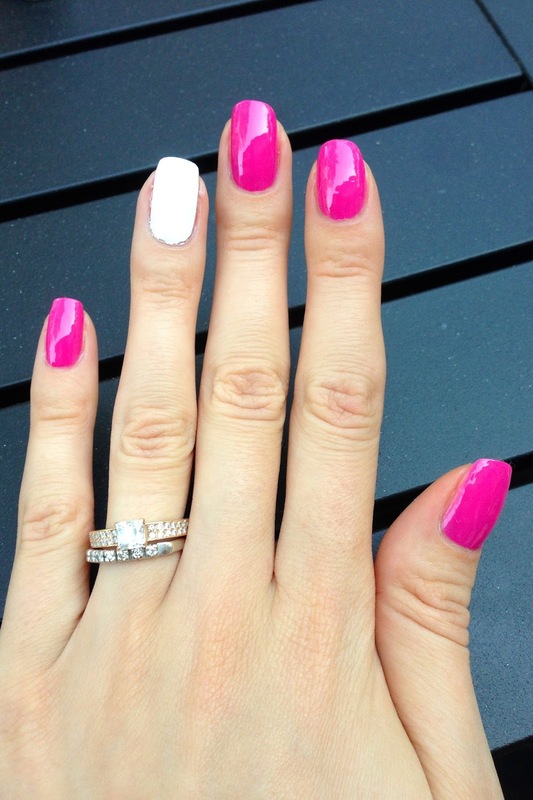 Then two coats of pink nail polish (Mod Square by Essie), and white for a ring finger (Alpine Snow by OPI). Use acrylic paint to create wings of the butterfly. 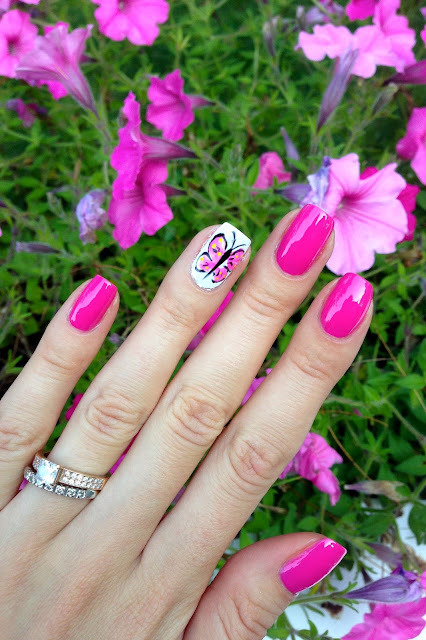 I used pink color named Parisian Pink by Folk Art. Also I used brush Loew-cornell soft comfort 4. 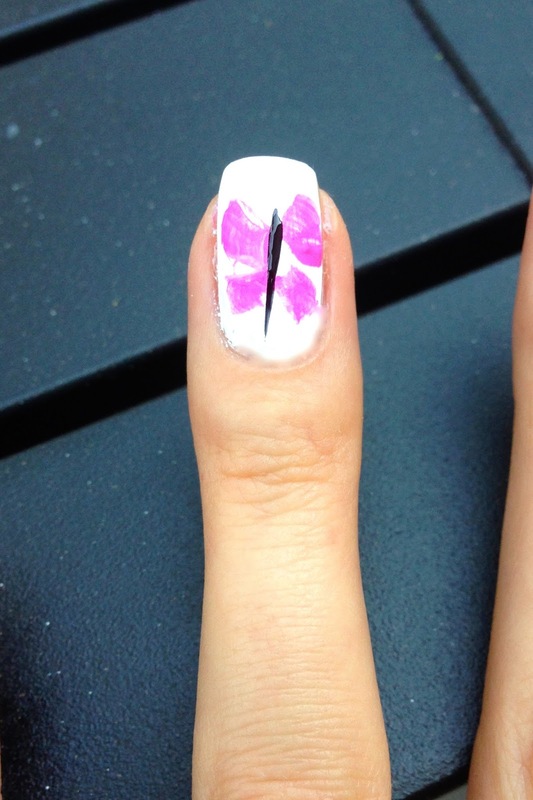 Take a thin nail brush and paint the body of the butterfly. 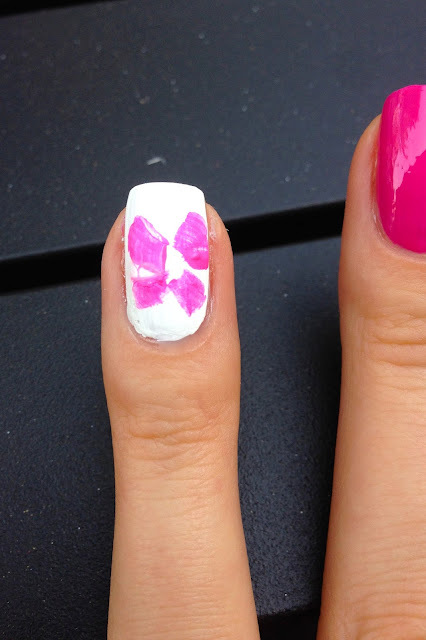 You can use regular nail polish or acrylic paint if you have. Outline the wings with black color. I used Milani Art with Precision Brush. Add some design on the wings. Don't forget the top coat, its very important when you use acrylic paint, because otherwise it can just wash off when you use water. 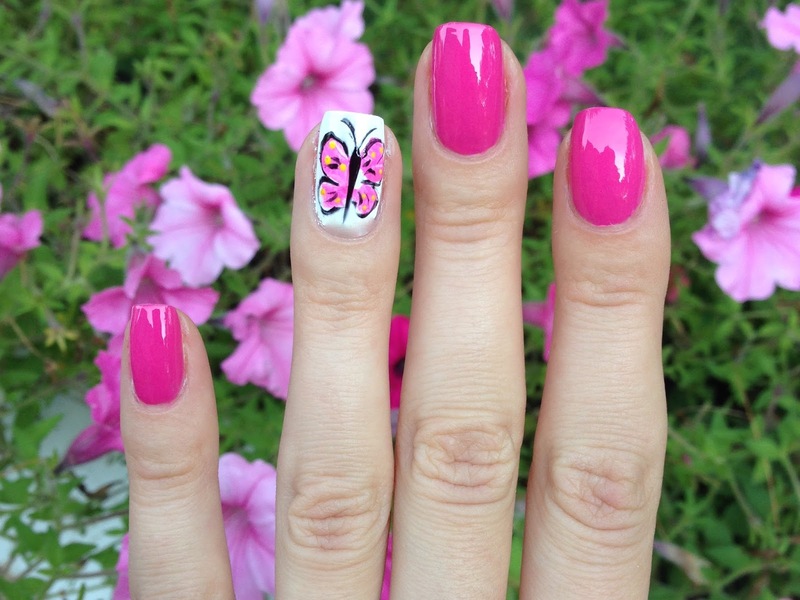 Hope this summer will give you moments to have ''butterflies in your stomach".